London’s Gatwick airport, one of the busiest in Europe, was shut down for over 36 hours last month after unauthorized commercial drones were spotted flying near the runways. This single incident affected nearly 140,0000 passengers as authorities were forced to cancel hundreds of domestic and international flights. 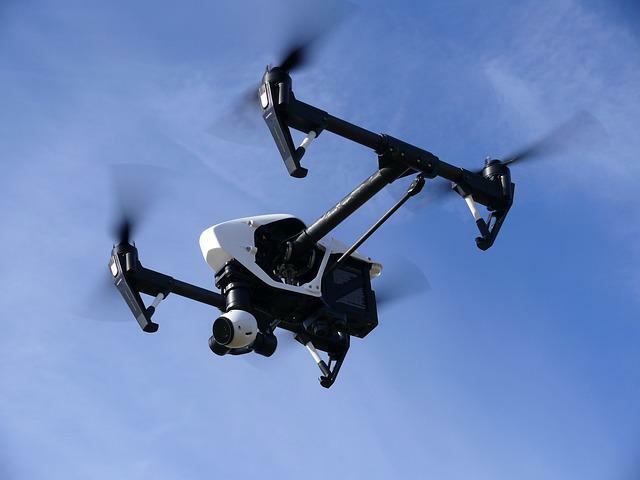 According to Sussex police, the criminal drone operator controlling the unmanned vehicle was located somewhere within an 8km radius. The threat was so serious that the airport authorities were forced to seek help from the RAF, who deployed a special anti drone system in an attempt to take down rogue drones. As of today, the drone operator is still at large. This single incident emphasises the importance of deploying dependable anti drone technologies to protect sensitive areas. This definitely was not a one-off incident as back in 2017 a drone nearly crashed with an Airbus A320 flying over London. The long delay and flight cancellations may sound like an overkill, but authorities know the degree of danger drones can cause. Following are 4 major ways even a budget civilian drone can pose a serious threat to major international airports. Collision Can Cause Crashes: The first and the most obvious risk of allowing drones near airports is the risk of collision. If a drone collides with an aircraft it can cause mid-air malfunctions and, in worst cases, plane crashes. Drones can just as easily be sucked in by the jet engines of commercial aircrafts, which can lead to engine failure. Used as Surveillance Equipment by Terrorist Organizations: Let’s not lose sight of why drones were developed in the first place. They started off as surveillance equipment used by military forces. Even civilian drones are now equipped with 4K camera and night vision capabilities. This means they can be used by the bad guys to scout an area before planning an attack. Drones Can Be Fitted With Bombs: ISIS routinely used drones as bomb carriers. They fitted civilian and industrial drones with bombs to turn them into dangerous IEDs. The mere fact that drones can directly be used as weapons of terror makes them a serious threat. They Can Be Used to Smuggle Items: Drones can be rigged to carry small items. This means they can be used to smuggle weapons and drugs by bypassing airport security. There are two ways to tackle the threat of drones. Governments can pass bills rendering all civilian drones illegal. However, the feasibility of passing such bill depends on the constitutional rights and laws of individual independent nations. Even if anti drone bills are passed, it would take years to repossess the civilian drones already in existence. The best way forward is to deploy ironclad anti drone technologies to protect airports. Automatic anti drone technologies have the capability to detect and neutralize rogue drones before they can get anywhere close to the runways and the airport complex.